Insolvent Banking System - Walking away continues! Insolvent Banking System – Walking away continues! What the defaulters have been doing for some time, we would say that not only is the trend going to continue, it will likely be the death of the housing market. Because, if you think about it, why would someone continue to pay if they know that they can live rent or payment free for more than 2 years. People normally only lived in their homes for 5 years, and according to FHA standards, you can buy 3 years after a foreclosure. With the money saved from payments, you could live for nearly half of the cost of renting, only suffering occasional negative credit events. Throw in a good age discrimination lawsuit, or some other such rubbish, and I suppose someone who is 60+ could live quite a long time in a home without paying. If someone wanted to, they could drag out the foreclosure process with regular short sale offers and requests for 3 or more years. In Southern California, where rents on SFH’s can be 3K+ per month, that means that a person could amass over 100K in that time, sufficient enough to live off of for some time afterwards. One could be debt free otherwise, have lavish vacations, buy luxury cars, or simply save by stopping payments on their home. And, so long as the banking system is in a state of quasi-nationalization, there is no reason for the banking system to foreclose. 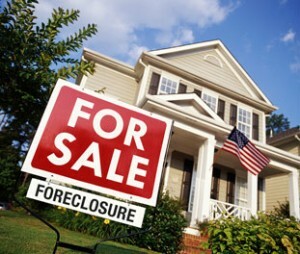 In the present state where all foreclosures are seen as BAD in the mainstream media, banks would rather suckle off of Uncle Sam’s teat than try to force deadbeats to pay up; it’s a politically stable decision. Indeed, it seems we are approaching the day when the US Government is paying everyone’s mortgage, at least indirectly in the name of maintaining our financial system. Ironically, many of us laughed inside when we saw the clip of the girl screaming “Obama gonna pay mah mortgage!”. The laugh, it seems, is on us. There will be consequences to the federal government paying everyone’s mortgage, and we only hope that if that means a total collapse of our country’s fiscal state that many of us who were conservative will be able to escape with a portion of our hard work’s output intact. What do you think? please comment!